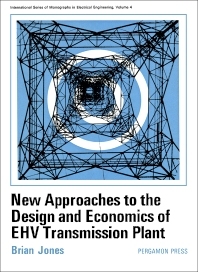 New Approaches to the Design and Economics of EHV Transmission Plant examines the limitations of EHV transmission plant. Analysis is also covered in the book to correct these limitations. The concept behind EHV is that allowable transfer of electricity is related to the square of the voltage. Factors such as the expense of supplying a certain volume of electricity over a given distance and creations of power stations are examined. The book provides economic studies of alternative design policies based on estimation of costs and benefits of the design parameters. The text also focuses on the principles essential to the design of plant and to highlight areas where expenses originate. The book then discusses the electrical supply. Economic principles, the electrical design, and thermal limitations of electrical plant are also covered. The text can provide valuable insights to electrical engineers, mechanical engineers, economists, plant architects, students, and researchers on the field of electrical plant planning and design. Fellow of the ILEX and IRPM.